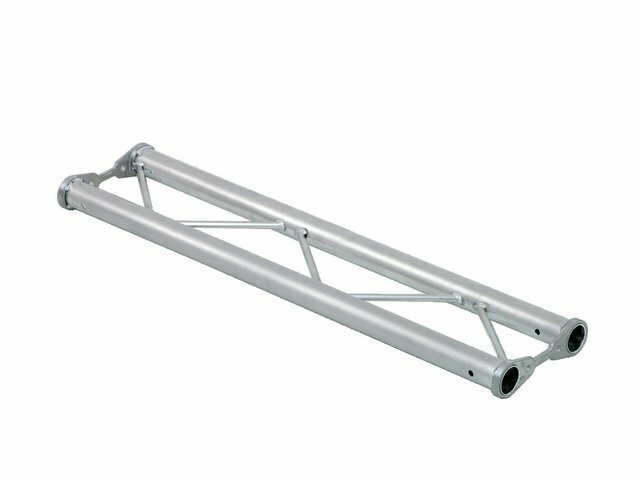 BISYSTEM PBT is a 2-point truss system made of aluminum. 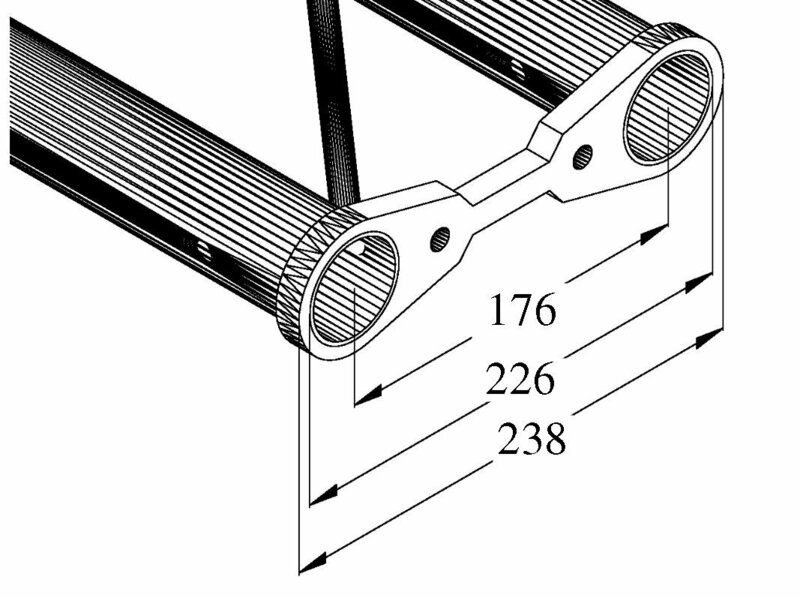 The individual elements are connected via two tube fasteners and two M10 bolts and nuts. The two main chords are made of 50 mm aluminum tube with 2 mm wall thickness and offer a good relation between strength and weight. The braces have a diameter of 12 mm with 2 mm wall thickness and leave enough space for installing couplers, hooks and clamps. With 238 mm outer dimensions, BISYSTEM PBT is a relatively compact truss system for higher loads. BISYSTEM PBT is mainly designed for permanent installations in shops, discotheques and theatres. By using the optional rapid snap connectors, this system can also be used for fair installations and event installations. 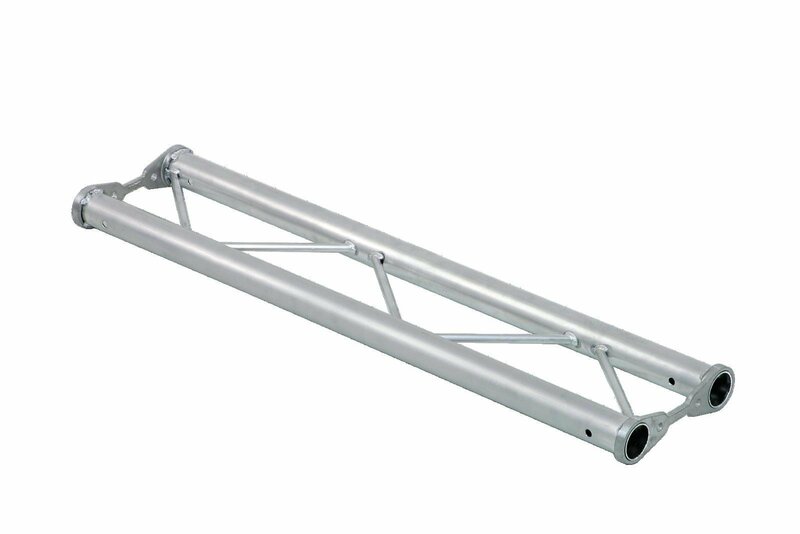 Altogether a universal truss system impressing with its wide range of standard system lengths, corners and accessory.